Chinese new year is the most anticipated times of the year. For this year, Malaysia welcome year of the sheep with joyful celebrations . This is the best time to leave all your worries behind and take a little break to enjoy the great celebration with your love once in a year. Economic issues have great impact on consumers’ consumption. Therefore, we have to manage our income and expenses properly. Celebrities plays an important role in educating consumers to be a good shopper. 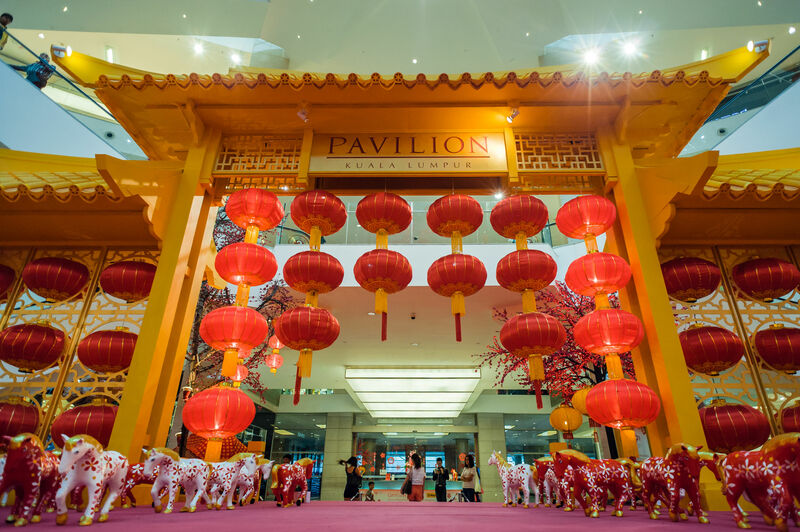 Here we have 10 tips from several Malaysian celebrities on how they do shopping for an upcoming Chinese New Year. – Before you go for shopping, try to search which place will offer a more reasonable price compared to others such as Chinatown and Petaling Street. Sometimes, they do sell a good item. While shopping, you also can enjoy the fascinating scenery in that area. Chill. Why you should shop earlier? Yeah, if you prefer a very calm environment when doing shopping, you are suppose to do that. Remember, don’t do shopping during the holidays because most of the areas are congested with both cars and people. The same thing goes to if you wanted to repair your gadget like handphones, laptop, notebook, do it before or after the festival. Please bear in your mind that most of the shops will not be operating. Sometimes, you will get annoyed while shopping at the crowded places. That’s why some of the celebrities just shops online. Just by simple clicking here and there, you can get the item right in front of your door. You may visit certain websites that provide cheaper price with a good quality item. Beware, make sure you shop with the trusted seller. This is the perfect time for retailers to use their strategies to boost up the sales target. So, please think carefully. Some celebrities prefer to shop outside of Malaysia for special celebrations and occasions like Singapore and Indonesia. For them, this is the right time where they can grab as much as they want with a cheaper price. Places like China, Macau and Hong Kong are not recommended as the price during festive is extremely high. Men tend to recycle their item if they think it is still usable. For instance, they think why would they spend more if it is not necessarily important for them. For example, why do we no need to change furniture, car seat, and accessories every year? It’s kinda waste of your money. Men are just simple, what say you? This is the time when seller play their important role to increase their profit. Yes, it’s true the seller tend to lower the price in order to attract customer’s attention, but there are slightly increased in price for certain products. So, try to look carefully at the brochure before you start to shop. In the mean time, you can save both money and time for “shopping adventure”. It is impossible to stop you from buying things as for Chinese New Year, there are many important elements that you must have as a symbol of the celebration itself. For example, such as dumpling, red clothes, prepare “red packet”, and some other accessories. Shopping in a smart way. As the cost of living is increasing, the price of goods also increase at the same time. People are starting to realize the importance of being moderate and be careful about spending their money for this upcoming Chinese New Year. Even though you spend less, but the happiness and joyful of the festival will never fade away. – Let’s try to be creative. Instead of buying a new curtain and table cloth, why don’t give a try by customizing those items with ribbon or lace. Decorate the flower pots to give it a fresh look. You too can prepare “red packet” and put your own signature. You can proudly say that you have some hidden talent. If you still have no idea, you can surf on the internet to get a very useful idea. Don’t miss the opportunity to visit your friend during Chinese New Year. Remember to wear red as it is represented prosperity, luck and good fortune. I hope 2015 will bring the fascinating and memorable Chinese New Year.Shopping smart, then you can enjoy this celebration without worries.